What is a Nebraska Last Will and Testament? 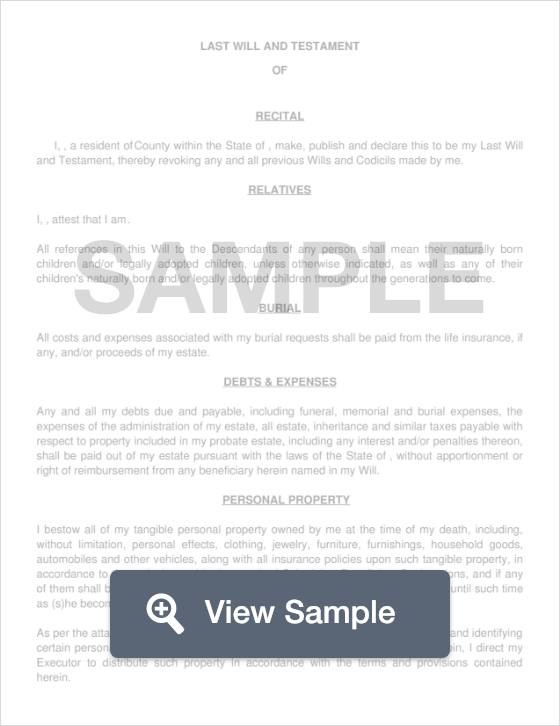 Nebraska Last Will and Testament: What Is It? A Last Will and Testament in the state of Nebraska serves as a legal means of a person (known as a Testator) disclosing how they would like their property, trusts, assets and other belongings to their beneficiaries. This document can be held up in court should the beneficiary not receive what the Will specifies. In order to be legal, state law delegates that a Will must be signed by two competent Witnesses and notarized by a Notary Public. Witnesses - According to §30-2327, the Will must be signed by two (2) witnesses. Once your Will is complete, be sure to have your witnesses sign your document and have it notarized by a Notary Public.